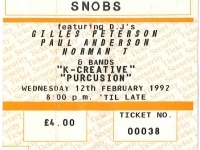 It doesn’t really need much introduction, but Snobs is a legendary venue in Birmingham. 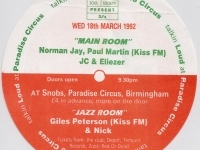 Better known as an indie and student populated nightclub it has been going for over 30 years. 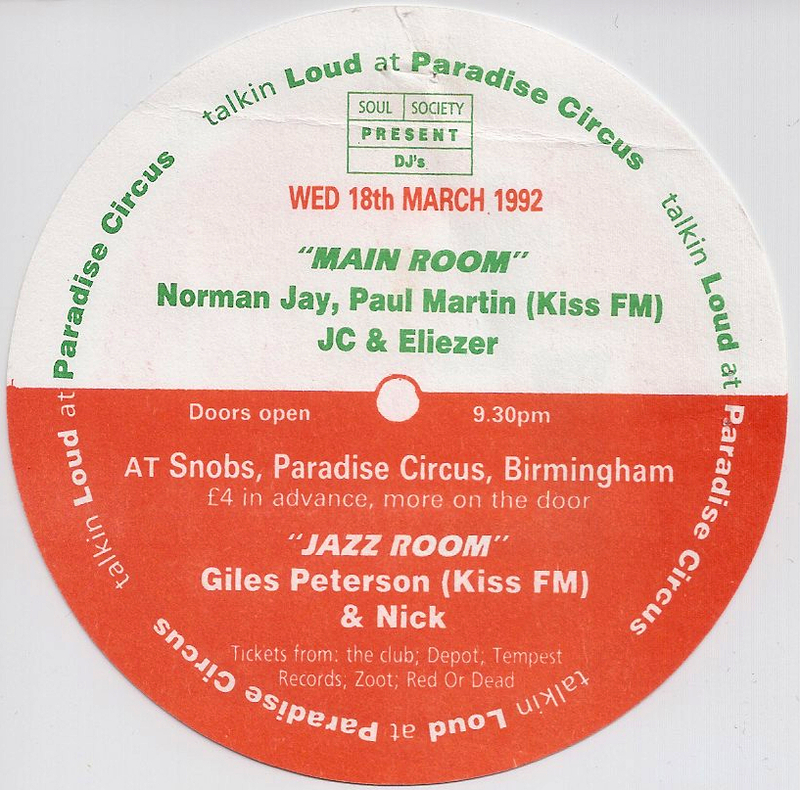 Consisting of two rooms, it was mainly used a play back venue or PA show for ‘live’ music and really got its reputation for the club nights which included ridiculously cheap drinks. Opened by the Berrows brothers, who also opened the even more legendary Rum Runners club ask would go on to manage Duran Duran, the launch event gave rise to one of my favourites bits of memorabilia; the Snobs teacup and saucer! The Snobs Teacup & Saucer were given to invited guests at the launch party, a launch party that also offered guests a whole salmon! 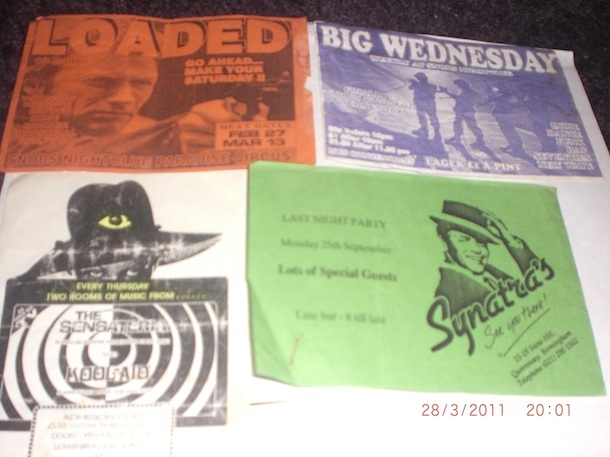 Below are flyers from Snobs of some of the nights they have run, I remember Sensateria but when it was in Zig Zag’s, part of the Powerhouse club but with its own entrance. 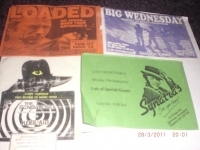 Loaded went on to be one of the biggest and best indie club nights in Birmingham, and I have to confess, I can’t remember the Big Wednesday nights. 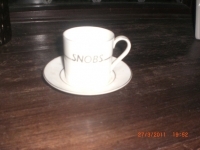 All the photos are courtesy of Anna Newson, please add your recollections of Snobs and help write the history of the club. 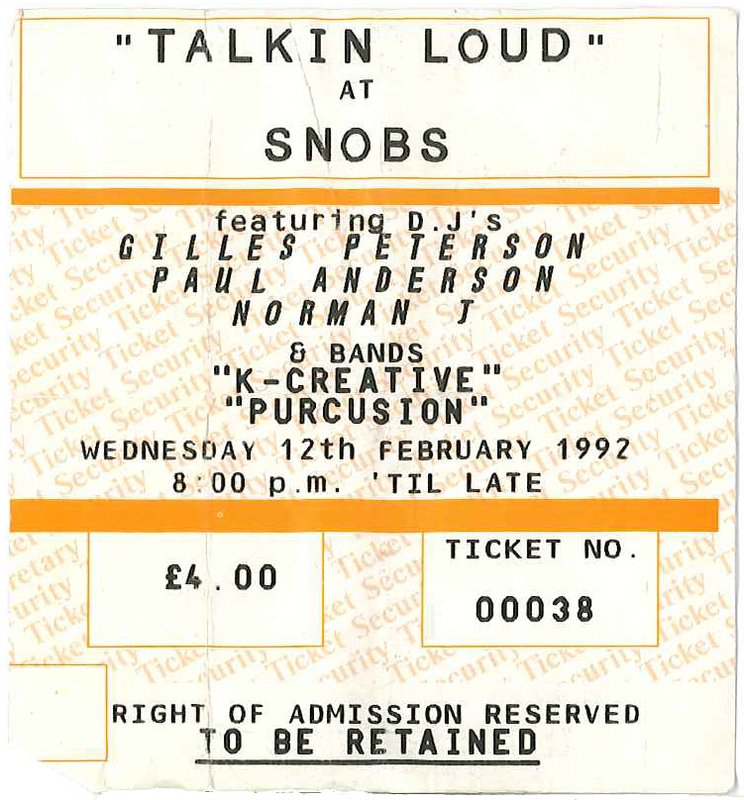 Great ticket stub sent in by UK Vibe founder Steve Williams for the Talkin’ Loud tour feat Gilles Peterson. 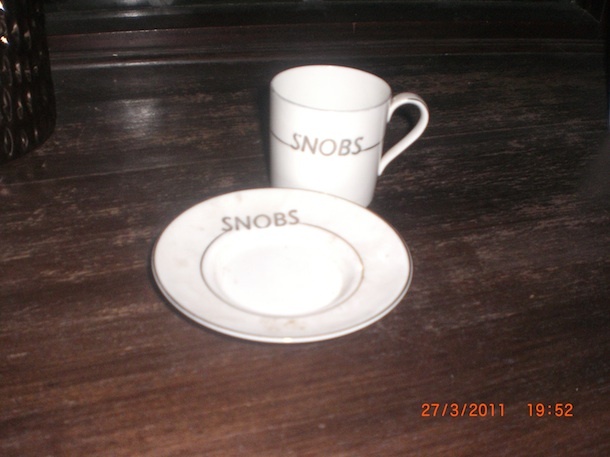 the money i would pay for a snobs teacup and saucer set!! !